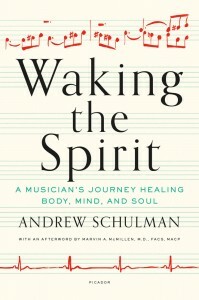 Andrew Schulman‘s book Waking the Spirit: a Musician’s Journey Healing Body. Mind, and Soul, explores one man’s experience and work in the field of Music & Medicine (a medical musician is a professional concert and recording artist with medical training, and it is specifically for critical care and critical rehab. This, it should be noted, is not the same thing as music therapy). 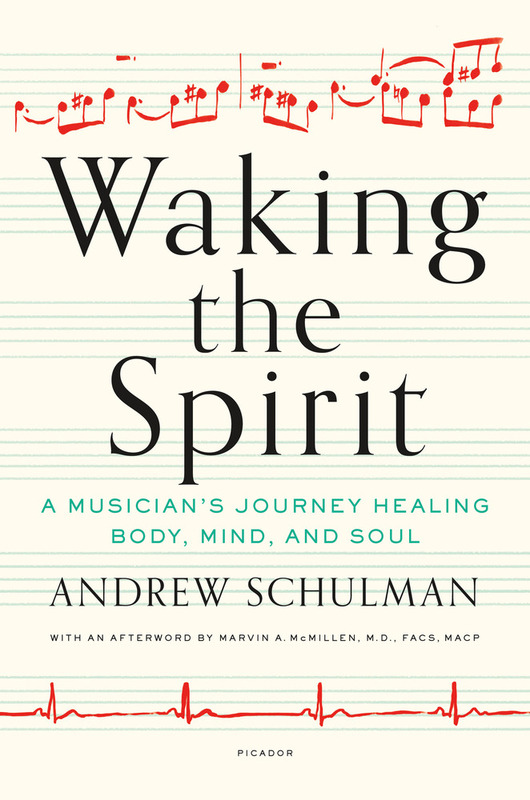 The book begins with an autobiographical account of how a life threatening illness led Schulman to devote his life to medical music. After doctors suspected pancreatic cancer, he had an eight hour operation wherein 60% of his pancreas was removed. It was after that that a frozen section procedure revealed the mass and cysts were benign. However, an antigen in a blood transfusion caused an allergic anaphylactic shock that almost killed him. While in an induced coma, fighting for his life, Schulman’s wife Wendy decided to play music for him. Her choice of Bach’s “St. Matthew Passion” stimulated Schulman’s will to live, and aided in the healing process. The experience inspired him to investigate the healing power of music. And this inspired him to make medical music his life’s work. However, Schulman’s arduous process of recovery was further complicated by bilateral hippocampus damage suffered during cardiac arrest. He had retrograde and anterograde amnesia in the area related to music – the loss of over 12 hours of memorized music, and the inability to memorize/rememorize again. Fortunately, his memory of technical knowledge of guitar and music was retained, and he began to work around the problem. Soon, working with the medical staff of the Surgical Intensive Care Unit (SICU) at Beth Israel Hospital in New York, he began to use music to assist in the recovery process of patients. The anecdotes that followed illustrate clearly that music has medical applications. For example, varying the repertoire, concentrating on major keys, and playing at medium tempos with flowing rhythm matches the normal range of a human heartbeat, and create the added effect of normalizing the patient’s blood pressure. Another example is the reduction of anxiety. Owing to the seriousness of their condition, loss of control over the situation, and separation form lived ones and familiar surroundings, anxiety are a common demonization among SICU patients. The body reacts to this by releasing stress hormones, which raises blood pressure. This negatively impacts the recovery process. A great deal of studies shows that music effectively counteracts this. The treatment of dementia and Alzheimer’s disease with music is addressed. Music has a way of tapping into the patient’s past memories. The therapeutic advantages of this are obvious. There is also the use of music as a treatment of pain. There was even discussion on how the misuse of music as medicine could be potentially fatal. The book is written in autobiographical form. The use of music on all of the aforementioned medical treatments, and more, is described in anecdotal form. Schulman presents direct personal experience of all of this. The technical information and practical application of this knowledge intersperses Schulman’s anecdotes are presented in a manner that is easily accessible to the layman. 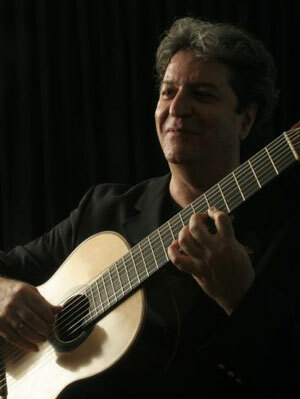 Furthermore, the music Schulman used in his sessions was not confined to western classical music. He also used popular music (the Beatles, Paul Simon, etc. ), jazz standards, new age, folk, gospel, and other genres. Schulman’s experiences and growth as a medical musician illustrated the subtle and delicate nature of all aspects of medicine and healing. The depth of variables within any medical practice is sobering, but strangely inspirational in that it invites both intellectual curiosity and heartfelt compassion. 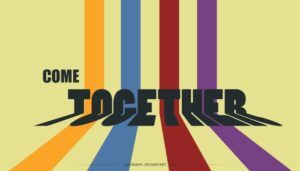 More than this, Schulman’s inspirational story shows that the newly reemerging field of music therapy is indisputably proving itself as both an art and a science. 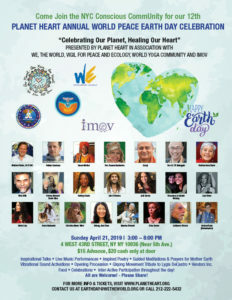 It’s value and the need for it in our society is almost beyond calculation.